STAMFORD, CT (February 20, 2015) – Pavement Maintenance & Reconstruction™, the leading magazine serving contractors in the paving, sealcoating, pavement marking and sweeping industries, presented Roccie’s Asphalt Paving with two runner’s up awards in the magazine’s first year of recognizing quality paving and pavement maintenance jobs. Roccie’s Asphalt Paving was honored as a runner up in the Paving (Parking Lot) category, which recognizes the best hot mix asphalt paving job, overlay or new construction, completed in 2014 on a parking lot. Roccie’s also was named a runner up in the Paving (Non-Parking Lot) category, which recognizes the best hot mix asphalt paving job – overlay or new construction – completed in 2014 on non-road pavement such as bike paths, hiking paths, or driveways. The Pavement editorial staff, in conjunction with the Pavement Advisory Board, evaluated the nominations and selected the winners. Pavement’s February issue profiles the industry award winners; additional information is available online at ForConstructionPros.com. The launch of the Pavement Awards coincided with the 30th year of National Pavement Expo, which is sponsored by Pavement Maintenance & Reconstruction and Asphalt Contractor™. 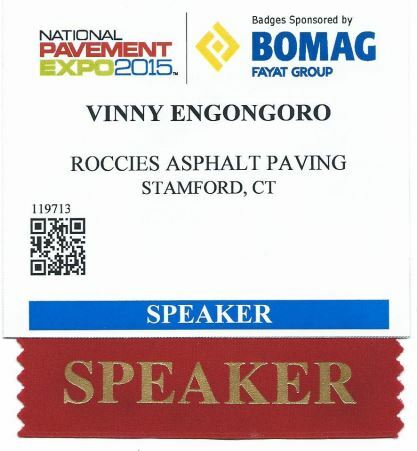 The Pavement Awards were announced Jan. 28 on the opening day of the 2015 National Pavement Expo at the Music City Center in Nashville, Tenn.
After successful speaking engagements at the 2011 and 2013 NPE, nationally recognized speaker and paving expert, Vincent Engongoro, will be back by popular demand at the 2015 National Pavement Expo. dissatisfied with their home improvement experience,” Mr. Engongoro added. Over 2,300 complaints and lawsuits are filed each year with the Connecticut Department of Consumer Protection and the CTBBB against home improvement contractors. Education to help Connecticut consumers avoid the grief, anxiety, pitfalls and aggravation when it comes to buying a new driveway or masonry is extremely beneficial. its decision-making and buying information as part of their Anxiety Avoidance Program and Your Driveway – The Right Way information packet . “My dad, Roccie, started this company in 1956. He knew back then that educating the homeowner was the key to success. 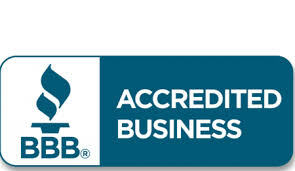 We’re very happy that the CTBBB recognized us for this,” concluded Mr. Engongoro. The Field Superintendent for Roccie’s Asphalt Paving, was recently awarded the 2008 Connecticut Better Business Bureau Award for Superior Service by a Company Employee. This award is a highly coveted and distinguishing honor given only to the best of the best in consumer relations. Recipients are chosen from a field of many competitors. The owner of Roccie’s Asphalt paving, Vincent Engongoro, states that: “Our employees success can be attributed partly from the training received at Roccie’s Asphalt Paving and partly from the support of the entire Roccie’s Asphalt Paving team. Office Manager of the Year. at Certified Contractors Network and Roccie’s Asphalt Paving. Roccie’s Asphalt Paving is honored to have qualified for Pavement Magazines Top 75 Paving Contractors in 2014. Chosen from thousands of applicants, the Top 75 list is the culmination of an annual cross section survey taken from participating professionals in the paving industry. Placement on the Top 75 list is a crowning achievement for anyone involved in the paving business and is a highly sought after status for any paving professional.